Meanwhile, heat oil in large skillet over medium-high heat until hot. Add beef; cook and stir until browned. Add peas and carrot; cook and stir 4 to 5 minutes or until vegetables are tender. 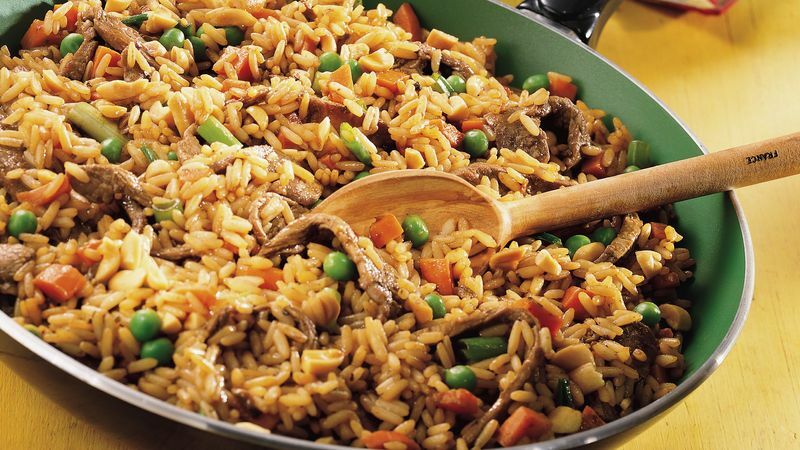 Stir in cooked rice, onions and stir-fry sauce. Reduce heat to medium-low; cook 5 minutes or until thoroughly heated, stirring occasionally. Sprinkle with peanuts.